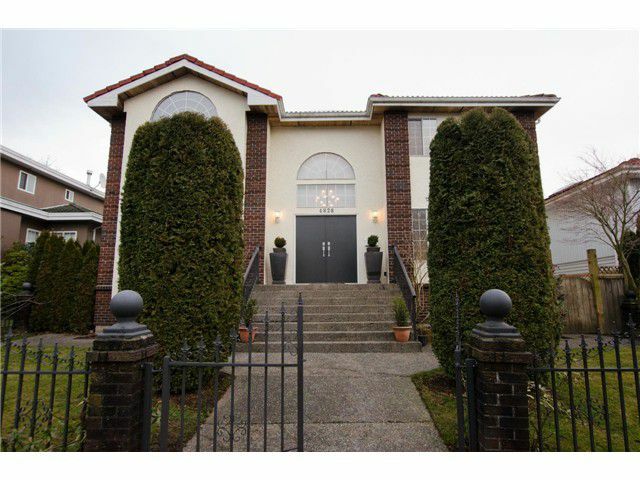 Beautiful spacious well maintained family home near QE Park, Nat Bailey, Parks, Shops & Transit. Over 3600sqft, on huge 6186sqft Lot in desirable West of Main area. Double height entry w/ beautiful staircase leads you into this 6 bedroom, 5 bath home. Huge bright custom kitchen w/ lg island eating area, s/s appliances, cork floors and built in wine fridge is an entertainers dream! Also on main is Family rm, lg Liv/Din room both w/gas f/p & bdrm/den. Upstairs is 4 lg beds, & 3 baths. Down is laundry and room for in-laws/nanny with tons of storage. Mature landscaping, private large back yard w/deck & 3 car garage. Lots of updates in this large comfortable home. Must see inside! Open House Sat/Sun Jan 11/12, 2014 2-4pm.